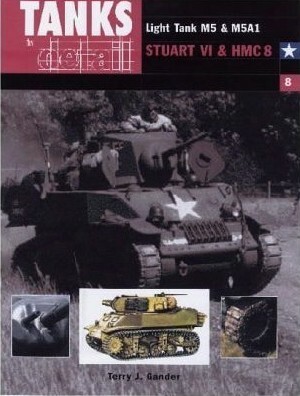 Designed with the modeller, preservationist and the wargamer in mind, Ian Allan Publishing's 'In Detail' series is intended to provide readers with a comprehensive history of the type of tank, self-propelled gun and military transport featured. Each volume includes a detailed history of the unit from the start of its service, along with information on variants, markings, unit allocations etc. Alongside the comprehensive illustrative section, which will include detailed shots of the models in colour, the books also include scale drawings and useful guidance notes on camouflage. The Light Tank M5 and M5A1 were the ultimate developments of the US light tanks family that saw extensive service during World War 2. They were simple, sturdy, fast and while they could never last long against medium battle tanks they served extensively in many roles, from infantry support to reconnaissance. They also proved amenable to modification into all manner of battlefield roles, from personnel carrier to self-propelled artillery platform. Also included in the coverage are variants such as flamethrower tanks.